As you may know we have the wonderful team of Zooniverse as partners in MICO. They have built over the last few years the world’s largest citizen science platform, housing hundreds of projects spanning a variety of disciplines ranging from climate science and physics to ecology and art history. In MICO, we are working with Zooniverse to see if we can use machine intelligence to augment the human classification process and get scientists results faster. 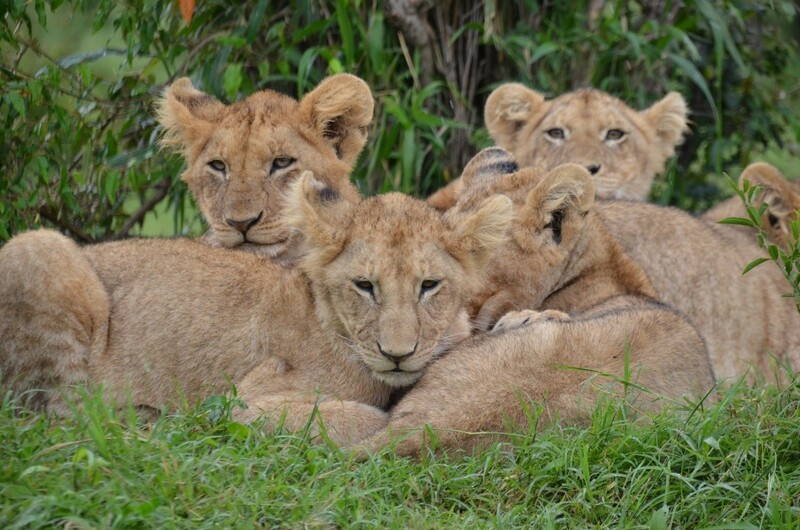 We are focussing on the project Snapshot Serengeti, which aims to identify animals in camera trap images collected from the Serengeti National Park in Tanzania. At the moment this is done entirely by human volunteers – but we are trying to build a system which can do some of this work automatically, using object detection and machine learning techniques. We need your help to build training and test data! 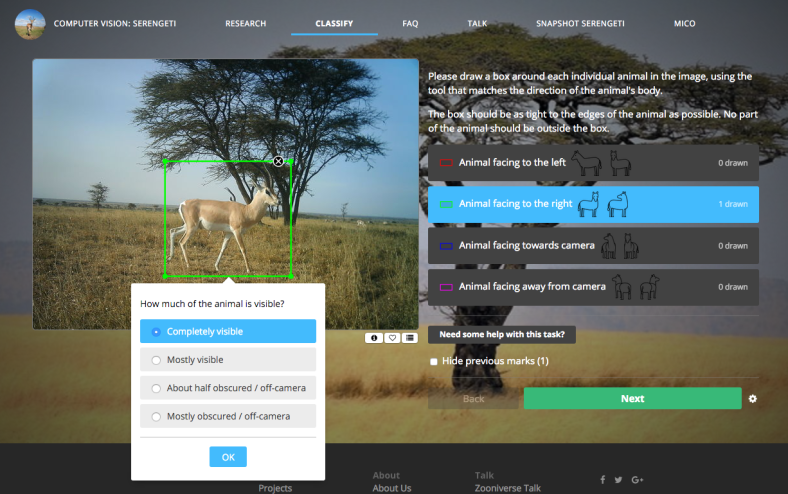 – Machine learning systems have to be carefully trained so that they can learn to recognise animals of different species in different orientations, light conditions and natural environments. What we need you to do is to draw boxes on Snapshot Serengeti images to show us where the animals are, which direction they are facing, how much of them is visible, and how hard they are to identify. We can then put your classifications together to give us a picture of where the animals are in the picture, which can be used to develop training images for the computer vision system. Join the team and share your experiences on the Zooniverse Science Talk forum.